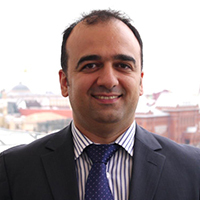 ﻿Suren Khachatryan has earned his BSc degree in commerce & business administration from the University of Birmingham. After leading sales organizations in a number of countries, in 2011, he joined BetConstruct as CEO. Since then he has turned BetConstruct into one of the leading providers of gaming technology and data.